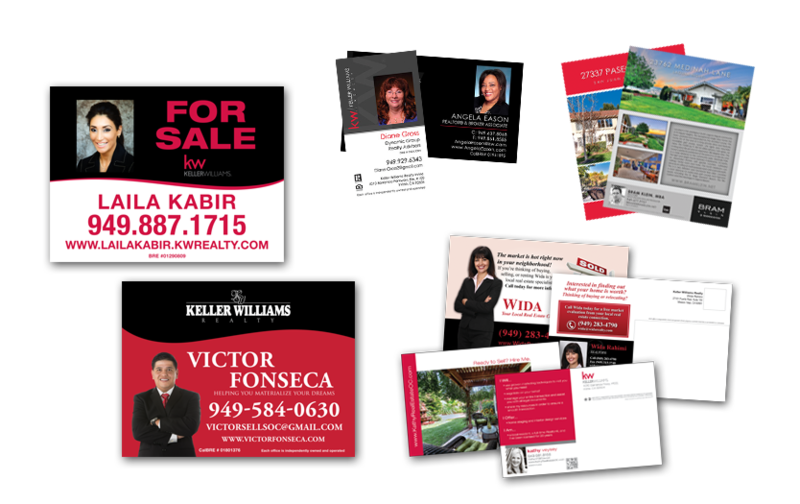 Keller Williams by JustClickPrintOnline.com | Your one stop shop for all your Marketing needs. var admin_url = "http://www.justclickprintonline.com/wp-admin/"
Realtor photo included taken at JustClickmedia or Realtor provided high resolution photo. Design time will not apply to templates picked by Realtor. Any changes on artwork or customization will incur $35.00 Set up. Neither Keller Williams Realty, Inc. nor its affiliated companies warrant any product or service delivered under this program. All products and services are provided by JustClickPrintOnline. A Keller Williams Approved Vendor Program member is a business entity independent from Keller Williams Realty, Inc. and has no agency, partnership, or joint-venture with Keller Williams Realty, Inc.